I am the kind of person that always has to smell fresh and pleasant, especially my hands. Besides bare feet, hands touch the most unsanitary surfaces, and that just plain grosses me out. With so many diseases and illnesses being spread, I don’t want to take my chances by not being clean. Others might not do so, and that poses a health risk to not only them, but everyone they come into contact with. B.Witching Bath Co offers the most heavenly smelling bath and kitchen products! I received two Kitchen and Garden Soaps and two Moisturizing Liquid Cleansers – all in different scents that were almost equally as appealing. I’ve always been a fan of the smell of sage, so I immediately knew to request for the Garden Sage scent. It is infused with tea tree oil and natural essential oils, which has amazing benefits – such as sanitizing and protecting against harmful bacteria. The Lemon Zest scent was also very nice. Both are perfect for washing your hands after washing dishes and gardening. Sometimes the kitchen sink and the dishes that consume it can smell a bit disgusting. If you don’t use gloves to hand wash your dishes, they can be exposed to a number of bacteria. That’s where B.Witching Bath Co’s Kitchen and Garden Soap comes into play! Your hands will not only be clean, but they will stay soft and supple. Doesn’t the sound alone of One-hundred Roses make you swoon? The smell of roses is in my top five scents. This Moisturizing Liquid Cleanser looks great with any bathroom’s decor. The hint of pink in the bottle is feminine, which I like! The Moisturizing Liquid Cleanser can also be used as shower gel or hand soap. It has so many uses, which results in money being saved. You’re not having to buy shower gel, hand soap and cleanser. Just one bottle for all three! 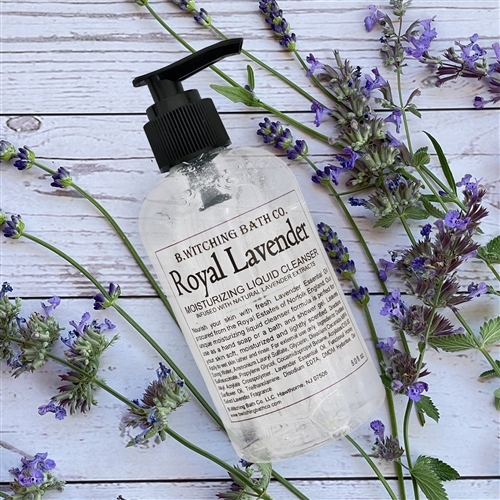 Last, but not least, the Royal Lavender Moisturizing Liquid Cleanser. I tend to use lavender lotion and soaps during or after my shower (which I take at night). Lavender helps me fall asleep! The scent is light but lovely. I don’t appreciate being overpowered by perfumes. Did you know that the essential oil of lavender has antiseptic and anti-inflammatory properties? During World War 1, it was even used in hospitals as a disinfectant. If it’s made for battle, it’s surely to be wonderful for your home. B.Witching Bath Co’s products kept my skin moisturized and smooth! Definitely a must-have in everyone’s household. B.Witching Bath Co has been featured in Self, Women’s Health, People and more! You can purchase both the Moisturizing Liquid Cleanser and Kitchen and Garden Soap for $12.95 per bottle. Stay connected with B.Witching Bath Co via Facebook! I like the Vanilla Bean Shea Butter Body Lotion. I love finding new places to buy soy candles and I see they have some – yea!!! def the lavender bath soap- weve used lavender soap and bubble bath on my daughter since she was an infant, shes addicted to it! I would love the organic muscle rub for my fibromyalgia. I like the Goat’s Milk lotion. My favorite product is the Teakwood Shower Gel! Thanks. Vanilla Bean Shea Butter Lotion. I love the smell of Eucalyptus trees so I would naturally like to try the shower gel that smells like these trees. Thanks. Anything and everything lavendar scented! I would love to try all of them! smelling great is one thing I like. Would like to try the Sea Glass Shea Butter Body Lotion. I like the Mint Tangerine Bath Salt Soak. The goat’s milk body lotion looks fantastic–I’m always looking for natural lotions. 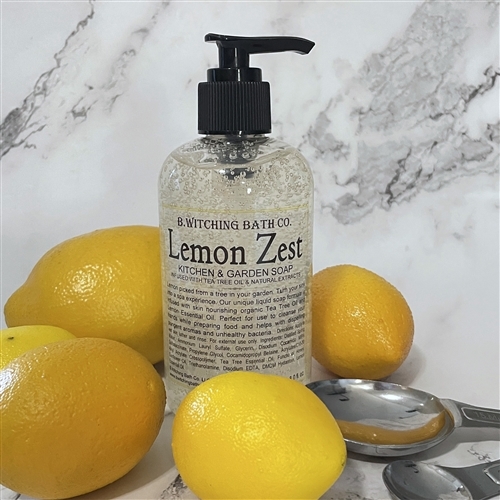 Lemon Zest garen soap is my favorite…it is so fresh! The Eucalyptus Shower Gel is my favorite item. I like the Goats milk lotion. The Mint Tangerine Shower Gel sounds nice. I would love to try the coconut milk liquid soap and the coconut milk sugar body scrub. The Cucumber Exfoliating Scrub sounds like it would be very nice in this heat. The Mint Tangerine bubble bath sounds intriguing. I love the Spearmint Handcrafted Soy Wax Candle. My favorite product would have to be the Mango Chutney Handcrafted Soy Wax Candle. Mint Tangerine Shower Gel sounds awesome! I’d get the Rocky Mountain Sky Shower Gel for my husband! I like the Royal Lavender Moisturizing Liquid Cleanser. The Sea Glass Bubble Bath sounds great! I would also like to try the Face & Eye Cream Enriched with Aloe, Vitamins C & E.
I would love the Organic Muscle Rub for my Arthritis, and Fibromyalgia and my husband just got diagnoised with OsteoArthritis and is in a lot of pain. Wow, hard to choose… a lot of the soap fragrances sound great! For now I’ll go with the Mango Papaya Moisturizing Liquid Cleanser. LEMON ZEST GOATS MILK BODY LOTION SOUNDS AMAZING! I would like the sea glass body lotion. I’d like to try the Banana Nut Face Scrub & Cleanser. citrus and cinnamon cleanser sounds yummy. I like the One-hundred Roses Fragrance Mist. I bet the Citrus & Cinnamon Shea Butter Body Lotion would feel great! Eucalyptus shower gel sounds like it would smell delicious! Rocky Mountain Sky Bubble Bath sounds inviting. The Spa Tonic sounds relaxing. I think I would like the mint tangerine shower gel. I would love to try the 100 roses cleanser. I love the Sea Glass Shower Gel! I would love to try their organic muscle rub. Thanks for having this contest! 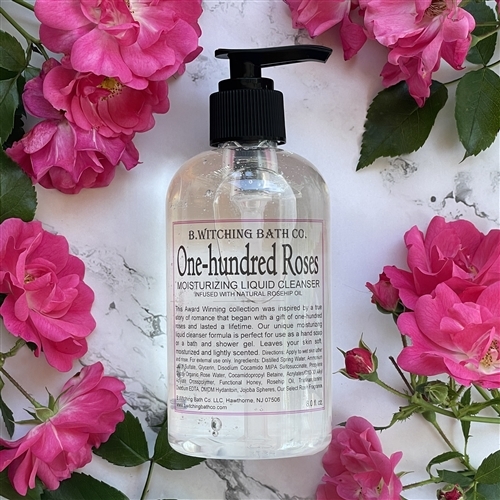 Even the name is heavenly – 100 Roses Bath Soak. Doesn’t it make you say aaahhh. Nestle Crunch 75th Birthday Showdown Instant Win!